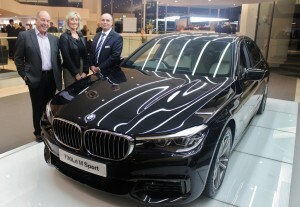 Leading prestige motor retail centre, Williams Liverpool BMW unveiled the brand new BMW 7 Series to a select group of VIP customers on Thursday 22nd October at its showroom on Great Howard Street. 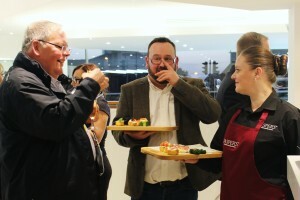 Over 70 of Williams Liverpool BMW’s customers attended the special evening where they were treated to champagne on arrival and a fine selection of canapés before the new model was revealed to the excited audience. The BMW 7 Series redefined what an exclusive, luxurious driving experience looks like in contemporary, pioneering form. Ground breaking technologies in the areas of lightweight design, powertrains, chassis, operating systems, intelligent connectivity and interior ambience underline its mission to bring together unbeatable driving pleasure and long-distance comfort in a lu xury sedan. The evening also saw some of the city’s well-known brands come and support the event. Wongs Jewellers showcased its latest range of watches and jewellery whilst Evergreen Clinic introduced its high-end cosmetic treatments. Kiehl’s also provided goody bags for attendees and Armani Exchange included an exclusive £25 voucher. The sumptuous car also focuses on maximising well-being in the rear compartment, with an Executive Lounge feature with massage function and Vitality Programme, the Sky Lounge Panorama glass roof, the Welcome Light Carpet, the Ambient highlight and a smartphone holder with inductive charging station. 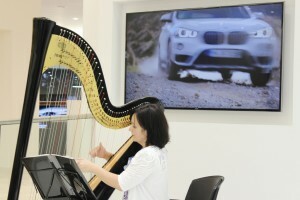 Standout innovations in operating system and driver assistance technology include the extension of the iDrive system to include a touch display and BMW gesture control, as well as Touch Command, the new BMW Head-Up Display, crossing traffic warning, the steering and lane control assistant, active side collision protection, Surround View with 3D View and the Remote Control Parking system. 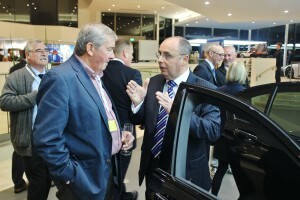 Tony Crolla, Head of Business at Williams Liverpool BMW, commented: “It was with gr eat pleasure to reveal the new BMW 7 Series to our customers. The feedback was unbelievable and everyone was taken aback by the luxurious model. 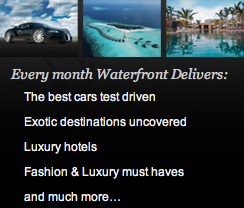 Interest is already very strong with a number of test drives now booked in.